You will also need to look beyond the clothing in your luggage when prepping for a trip, as you should prepare for potential problems abroad, such as safety concerns, health issues, or loneliness. 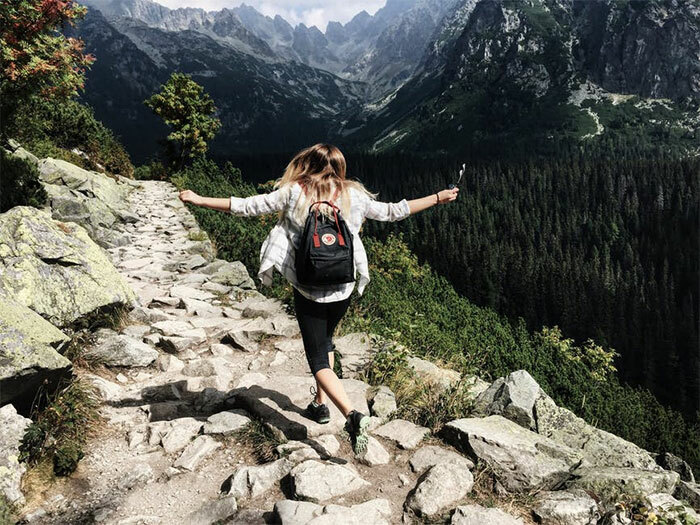 To ensure you have a smooth, enjoyable experience, here are 17 tips to help you prepare for solo travel in 2019. There is often safety in numbers when traveling overseas, so you might feel vulnerable during a solo trip, as you will not have a companion to watch your back. To increase your safety, you must research your destination before travel. For example, learn about common scam artist tactics, and review average fares to get to or from the airport to prevent being overcharged by a taxi driver. Unfortunately, there might be unscrupulous people who may try to take advantage of your vulnerability. For this reason, you should always walk with confidence and purpose when traveling alone. It will tell others that you have places to go and people to meet, so they will be less likely to bother you. Staring at a map on a busy street will tell a criminal you’re a lost and lonely tourist. If you want to blend in with the crowd, you must avoid obvious signs that you’re a sightseer. For example, ditch the I love NY T-shirt during a trip to New York, and don’t walk around with your head in a guidebook. As you will be traveling alone, you must leave a copy of your itinerary with a family member or friend at home. You also should regularly keep in touch with your loved ones via text, phone call, email, or video chat. So, if they don’t hear from you, they can alert the authorities. It’s a sensible precaution to take to ensure your safety overseas. Give yourself some peace of mind that you can defend yourself overseas by packing pepper spray in your bag. If someone tries to steal your watch or cause you physical harm, you can simply spray the lachrymatory agent into an offender’s face before fleeing. Check out this company for self-defense devices that can increase your safety when traveling solo. You’ll be happy to learn you won’t be the only solo traveler globetrotting around the world. According to a Visa Global Travel Intentions Study, 24% of people chose to travel alone on their most recent overseas vacation. You can trust there will be a big community of people just like you at your destination, so you should attempt to connect with them online. For example, you could download the Backpackr app or reach out to people via their social media pages or blogs. Many hotels, airlines and tour operators will provide regular email newsletters, which could provide subscribers with the best deals and exclusive offers. Signup to the newsletter to ensure the best rates for solo travelers arrive straight into your inbox, which can slash your expenditure. The wonderful thing about solo travel is that it provides you with an opportunity to meet many new people, as you won’t be tied to any friends. While it’s vital you connect with others to chat, hangout and travel together, you shouldn’t be too trusting. Sadly, scam artists can make charming travel companions, so try to keep your wits about you for individuals who are looking to take advantage of your kindness; it is all about balance. First-time solo travelers might be unware of the single supplement, which can eat into their backpacking fund. It’s common for some hotels, tour operators, and cruise lines to hike up your bill, as they will not make any money from a second occupant. In some cases, you could pay between 25-100% extra, which could result in you paying twice as much as someone traveling to a destination with a companion. There are ways to avoid the single supplement charge. For example, you could book with a tour operator that provides solo travelers with roommate matching. This is the perfect solution if you have no qualms about sharing a room with a stranger. If this sounds a little concerning, discuss the procedures a tour operator uses to match roommates. If you want to save yourself a substantial amount of cash, and avoid the single supplement, book your accommodation at the last minute. Many tour operators will drop their price to ensure rooms aren’t left empty. It’s an effective way to reduce your expenditure, but don’t leave it too long or the room could sell out. If you’re going to travel across the world alone, you’re going to need to lower your expectations for accommodation. Unless you have a lot of money in the bank to pay for luxury hotels, consider staying in a hostel, as it charges per bed and not per room. Many hostels tend to be both clean and secure, and it’s a great way to connect with travelers from all walks of life. Many solo travelers often don’t enjoy dining alone, as they don’t want to appear lost or lonely to the serving staff and customers. In fact, there’s even a name for the fear: solomangarephobia. However, there are things you can do to feel a little more comfortable when dining alone. For example, you can choose a restaurant booth for privacy, or you could enjoy a meal at a counter seat or at the bar. You should also bring reading materials with you, so you will have something to do as you eat. As mentioned earlier, traveling the world alone might make you vulnerable to advantageous people. For this reason, you should leave all expensive items at home to ensure they are not stolen during your trip, which is essential if you’re staying in a hostel with strangers. You also should avoid drawing attention to yourself, so don’t wear any expensive jewelry or clothing. While most people are kind and honest, there might be the odd person who would happily steal from you for their own financial gain, so don’t take any chances. Your demeanor will determine the friends you make overseas. If you look shy and closed off, people will be less likely to say hello or chat to you. If you want to meet plenty of people throughout your adventure, adopt a friendly demeanor that will make people want to talk to you. All it takes is a warm, inviting smile to help you strike up a conversation with a stranger, which could lead to you making a lifelong friend who will travel across the world with you. Practice smiling and chatting to others before you head off on your solo backpacking adventure, which will boost your confidence. People tend to stare at their phone when feeling overwhelmed or intimidated. Yet, doing so could tell other travelers that you don’t want to talk, so they will be less likely to approach you. While it might be tempting to flick through Instagram to avoid feeling awkward, keep your phone firmly in your pocket and try to strike up a conversation with people. That awkward feeling will soon disappear, as a result. Attempt to find an expat bar once you arrive at your destination, so you can mix with other travelers. Locals will usually know where travelers hang out in a town or city, so you might be able to find like minded people who speak your native tongue. You could even look online to find tips for the best expat bars at a destination. Once you arrive at the bar, don’t be afraid to strike up a conversation with others, as they will most likely be happy to connect with a fellow traveler. If you are a US citizen traveling overseas, you should signup to the Smart Traveler Enrollment Program (STEP), which is completely free. By doing so, the State Department can help in an emergency, such as a natural disaster, family emergency, or civil unrest. The Embassy will also send information to you regarding safety conditions at your destinations, so you can make informed choices regarding your current and upcoming travel plans. However, if you are from outside the US, you should identify if your home country provides a similar program.